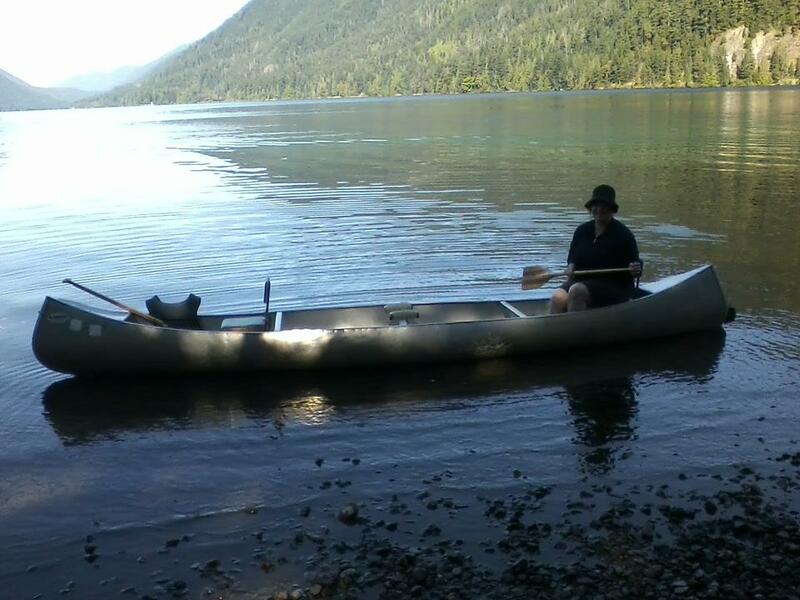 The accident happened on a warm, sunny day on Lake Crescent in the Olympic Peninsula. The early morning sun cast a blinding, shimmering light on the water as the canoe silently floated across the lake. The only sound was the intermittent dip followed by the drip, drip, drip of water off the side of the paddle resting across my lap. Lake Crescent enchanted me from the first moment I saw it and became more treasured when I got married there. The water is so clear you can see a dizzying 10 feet to the bottom. A far cry from canoeing the Mississippi river where we put off swimming until it was so damn hot that the brown, murky abyss actually looked inviting. Once in the water, we’d slowly lower our hands under the surface to see how long until we couldn’t see them anymore. It happened immediately. “You have a completely torn ACL and MCL. The doctor held up his hand for a high-five. I fived him, thinking – is this guy for real? Surprisingly, canoeing does not make the list. Scene of the crime. Lake Crescent, Washington. An avid canoer all my life (and in this very canoe, transported across country from Minnesota to Washington), I can count on one hand the number of times I have fallen out of a canoe in 40 years – three. On this day the number jumped to five. Wet but otherwise unscathed, I climbed back in and we paddled around, the sun warming my legs and drying my shorts. We canoed to the far side of the lake, circled around so we could drift slowly past the wedding site, then headed to shore. My husband got out first and was holding the front of the canoe. I grabbed the bar in front of me tightly, keenly aware that the canoe (literally and figuratively) had already turned on me once. And I did. Almost the same fall, only this time I sat there not only stunned, but hurt. I had injured my knee. The full implications of what happened that day continue to unfold, more than three months later. I am still quite immobile. I am slow. I can’t work out, I can’t take stairs, I grab handrails and I limp. I watch in envy as someone runs for the bus. I have no desire to take public transit, but I sure wish I could move like that. I feel and act OLD. But one result I could not foresee isn’t physical. I have realized that when I go for walks, I re-energize. I get inspired. My feet move forward automatically but my thoughts zigzag all over the place – creating, contemplating, deciding – I do not notice what is around me or listen to music. I zone out. Not being able to walk means more to me than just not walking. And that is the worst part about the accident. So when I got my “twofer” diagnosis and was told my options are surgery or live with an “ACL-deficient knee;” I already knew my answer.